The Libraries has a few ways to help celebrate St. Patrick's Day. The wearing of the green: a history of St. Patrick's Day. Mike Cronin and Daryl Adair. Publisher: London; New York: Routledge, 2002. Better homes and gardens.Holiday cook book; special foods for all special occasions. Publisher: [Des Moines] : Meredith Pub. Co., c1959. 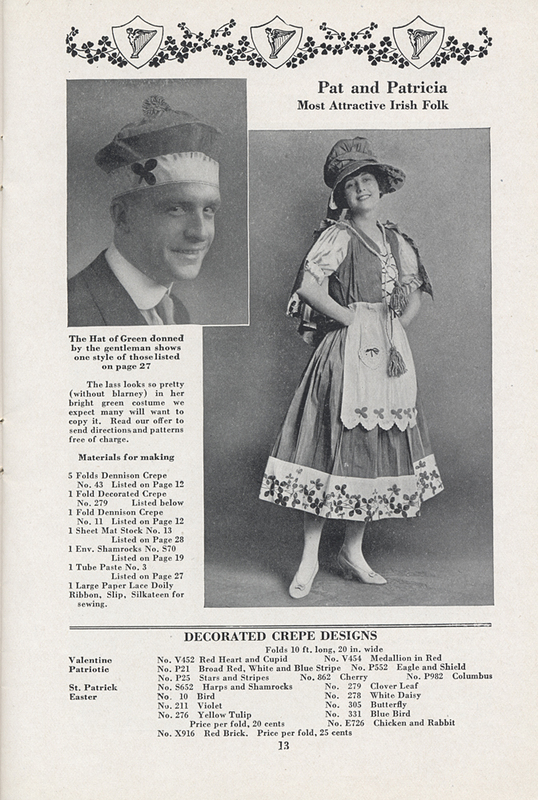 Dennison Manufacturing Co., 1917 Party Book , 1917, Pat and Patricia St. Patrick's Day costumes.